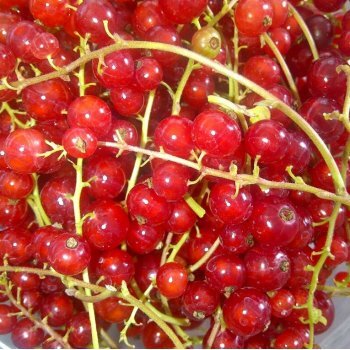 This late variety of redcurrant bush produces high yields of bright red, translucent fruits. Redstart currants are sweet and juicy with an acidic flavour. They make wonderful redcurrant jelly, look beautiful used in cake decoration or can be frozen. A lovely redcurrant bush, the bright red gems hang in long bunches and you can't pass the bush without pinching 1 or 2! When planting soft fruit bushes, such as a Redstart Redcurrant Bush, it is important to prepare the planting area well. Pot grown soft fruit bushes can be planted at any time of the year. Bare root soft fruit bushes need to be planted between November and March. If you are not planting your bare root soft fruit tree straight away, it is best to ‘heel in’ your tree. Dig a hole in an unused area of soil and pop the roots of the tree in, gently firming around. If you’re planting within a couple of days, you can untie the bag around the roots, water, re-tie and then store in a frost free garage or shed.